I try to learn something new every day. It might relate to personal finances, physical health, computer programming, or any other topic — and the learning might take place for a few minutes or from sunrise to sunset. Every time I learn something, I typically observe a corresponding increase in my quality of life. This is why I believe it’s so critical to establish learning as a lifelong skill. Everyone has a natural fear of the unknown, which can be a huge driver of stress: Am I saving enough money? Should my car be making that noise? Am I doing this exercise correctly? Is there a better way to write this code I’m working on? A lack of information can make the world feel like it’s closing in. 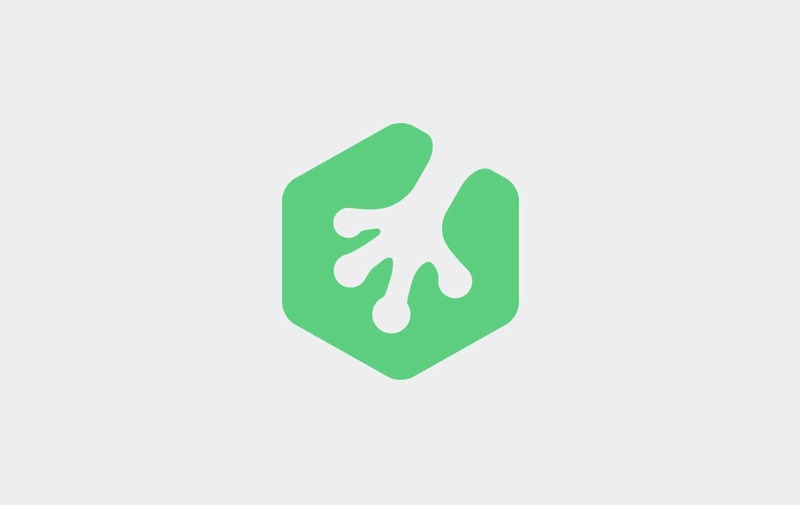 Free trial on Treehouse: Do you want to learn more about web design and development? Click here to try a free trial on Treehouse. A few years ago I had a fairly thin physique, I ate terribly, and I lived a very sedentary lifestyle. I decided I needed to take control of my health, but the idea of a signing up for a gym membership and completely changing my diet was extremely overwhelming. When I started exercising, I didn’t even know the difference between a rep and a set. It sounds absurd to be afraid of entering a building that contains exercise equipment, but I was terrified. My total lack of knowledge made me feel like I would either embarrass myself, hurt myself, or both. It’s two years later, and I’m now in the best physical shape of my life. I’ve gained about 30 pounds (13.6 kg) in muscle mass, I eat a much better diet, and I lift weights three days a week. The first year I wasted a lot of time and didn’t see any real results. I decided to take the “head first” approach and just start running on a treadmill at the gym. The running wasn’t all bad; it helped me get over some anxiety and get used to going to the gym consistently. Looking back, though, I should have started my journey with a few weeks of learning. As soon as I picked up a book, read some blog posts, and watched some videos about working out, I finally started to see real change. Now, before I go to the gym, I’ll spend about 10 minutes reading or watching videos on the web. Just six months ago, I was doing squats and deadlifts in cushioned running shoes. I would have thought that somewhere along the way a book would have pointed out this common mistake to me. Instead, it was during one of my 10-minute learning sessions that a video emphasized the importance of keeping your feet as close to the ground as possible by wearing the proper shoes. This simple change increased my balance and helped me break through a plateau almost immediately. It seems so obvious in hindsight. But you don’t know what you don’t know, which is why it’s so important to always continue learning. I keep this small plaque hanging in my kitchen. The more I learn, the more I realize how much I still have left to learn. I also want to make my game work with VR (virtual reality) hardware like the Oculus Rift, which adds a time pressure: The clock is ticking, and I need to work quickly before the market is saturated. At first glance, it seems crazy to spend any of that time learning. Why hit the books when I can instead draw upon my previous programming experience and dive right into the work? Wasting time at the gym made me learn an important lesson: Learning is not a luxury. Rather, learning is a necessity that should be built in from the onset of any project. Learning is work, just like other seemingly ancillary prototypical project phases, like testing and QA. If you don’t continuously spend time sharpening your skills, then eventually they will become dull, and other competition in the tech jungle will eat you for lunch. When you’re crunching between one deadline and the next, learning can feel like a luxury. A programmer who isn’t learning, however, is just treading water. Almost every time I learn something new, it helps me work faster and more efficiently. This idea has carried over into my game development hobby. For the first two months, almost all my free time was spent learning about game development. I absorbed as much as I could about best programming practices, how to build a solid asset pipeline, how to create engaging gameplay, and more. Just like when I go to the gym, I start my coding sessions with about 10 minutes of learning. In those little 10-minute sessions, I often pick up a new tip that saves me hours of work. I also have a month-by-month plan for my game and, midway through, I’ve planned a month where I’ll do nothing but learning again. It might seem extravagant, especially when there’s a key market window I want to hit, but I feel confident that I’ll save more time than I’ll actually spend learning. It’s simple: Learning saves time, and time is the most precious resource available. We all have a limited life to lead, so it’s important to make the best of it. If you don’t maintain your mind, it will eventually fall apart, just like your personal finances, your car, or your body. So feed your curiosity and make it a habit to learn something new every single day. You never know what you might discover. Awesome u story very inspirational. You conquered your fears and learnt how to go over it . That give more to try more. I love learning my ways of learning is through books , treehouse and blogs. This best article about learning. Man, You killing us. I think I’m like you in few things, like learning and going to the Gym. Hi Nick, I can’t explicitly say how I feel about your article, So it relates to me as in my first days of web programming. Still now I consider myself an advanced beginner, I’m aware that I need to learn and keep learning as often as I can. This is why I subscribed to the Threehouse newsletter. Man, Thank you so much for writing about learning, dedicating time to what you love or want to accomplish in life at diverse level. Once again, thanks and keep writing such interesting articles. It is interesting to read about one of your tutors going through the same pains of learning as yourself, and it is very encouraging. It is easy to sit here and think “I’ll never know as much as Nick”, and all the while you are just thinking about what you are going to learn next. My journey back to technology (aided by Treehouse of course) was intimidating at the start. But now I am hooked. In January I started a commitment not to learn everyday, but to code everyday, otherwise the stuff I am learning just doesn’t stick. I have managed 104 our of 112 days this year. It feels great even if it is just 10 minutes fixing yesterdays failed code. What an awesome article. I love learning. One of the reasons I have treehouse account. I’ve recently took up growing veg as a hobby to get away from my pc a bit and have had to learn so much. Now before I soe any seed, I do as much research about it first as possible and it helps me grow strong seedlings. Great great great article. Thanks for a great, encouraging post! I am trying to dedicate at least 30 minutes a day to learning – mostly coding right now. The treehouse tracks are a large part of my learning process as well as a few other online resources and my degree program through Full Sail University online. I enjoy reading your posts and always feel a little more motivated because of them. Your success with health & exercise really shows how small efforts add up over a long time. It’s important that you were combining the learning with *doing* — if you were just reading and watching educational videos about weightlifting, but not actually going to the gym, you wouldn’t be where you are now! Even though you feel like you wasted a lot of time in the first year, at least you were getting out there and making an effort. Very nice post, I think it was spot on.